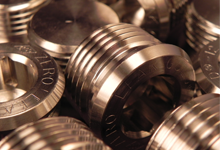 Standard SAE and Metric style Zero-Leak Gold Plugs are available in three material choices to meet most pressure rating, application and environment requirements. Other machinable materials may be produced upon request. 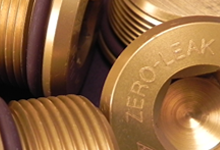 Used in the Zero-Leak Gold Plug standard SAE and Metric Socket or Hex Head product line and represents the material of choice for most plug applications. The standard plating is zinc and is available in either gold or clear. Stainless Steel SAE and Metric socket or hex head ZLGP are stock or may be produced. All Stainless Steel ZLGP are passivated. Aluminum SAE and Metric style socket or hex head ZLGP are stock or may be produced. The standard Aluminum ZLGP are gold anodized. Clear, black and red are available by special order. 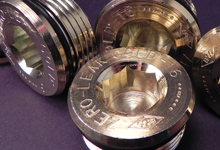 Other finish options may be available for specific Zero-Leak Gold plug applications. Contact us to learn more. *Zinc and anodized finish colors may be inconsistent. EPCO certifies that no hazardous materials are used in the cleaning, pre-treating, coating, finishing and sealing for these substrates (Mild Steel, Steel, Stainless Steel and Aluminum).